There are a myriad of invasive species residing right here in Lakeland and throughout Polk county. The list of invasive species is endless. Currently the list of reptiles alone tops out at 47, and that doesn’t include amphibians, such as frogs and toads, including the notorious Bufo/Cane Toad. 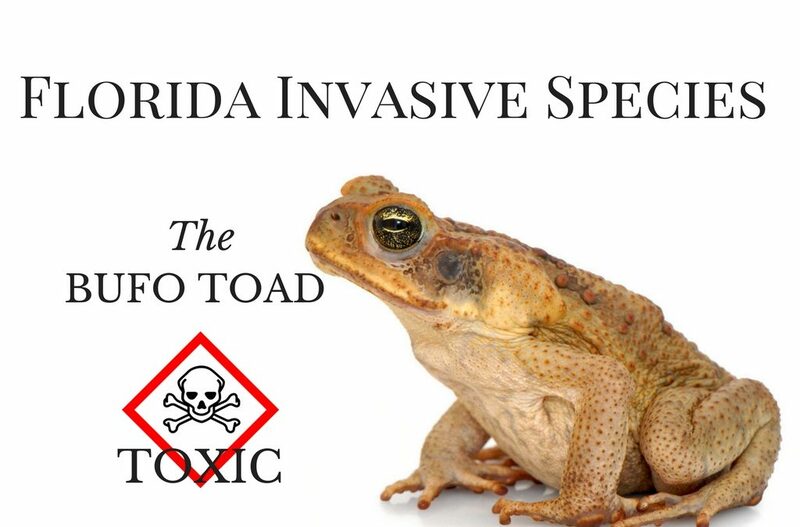 Why does Florida seem to be such fertile ground for invasive species? Quite simply, the Sunshine State provides the perfect environment. Many of these species would never survive a harsh winter, but there’s no worry of that here in Florida! Winter related fatalities are virtually nonexistent. Most reptiles and amphibians are adversely affected by temperatures dipping below 50 degrees for an extended period of time, let alone a deep freezing spell. Food and water is abundant as well. Why are these invasive species a problem for Florida? They often become predators of native species, example, the Cuban Tree frog will eat native tree-frog species. This brings us to the notorious Cane Toad. 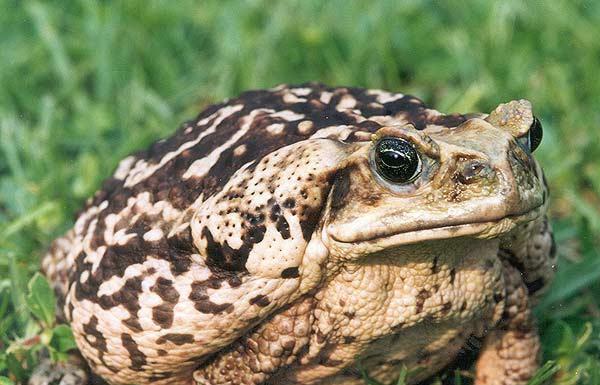 Actually the commonly used term Bufo Toad is a bit misleading, as there are actually approximately 150 members of the genus Bufo. 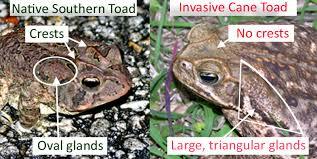 Specifically the local issue is that genus’ member the Cane toad, a.k.a. Marine toad. Some of these toads were introduced through the pet trade, but more commonly they were released into sugar cane fields in an effort to control grubs feeding on the sugar cane. They are native to the Amazon Basin, but adapt readily to the Florida Climate. What makes them dangerous is the potent toxin which they release from large glands near their ear openings. The toxin is so potent that it can be fatal to cats and dogs, even dogs of substantial size. Immediate medical attention is key to the animal’s survival. As of yet there have been no serious injuries recorded involving children, but children should be warned not to handle any frogs or toads. Be mindful of areas that are attractive to these toads. They frequently hide under wood or rock piles, so these items should be raised off the ground. Watch for shallows borrows that they may dig under cement slabs, in gardens, or under trash cans. Avoid standing water, even place some stones in the area your Air Conditioner drains, deny them access to water as much as possible. If you notice activity, or suspect activity, give me a call! I have developed trapping methods to contain and remove these toads. Then once population is under control, I have developed a scent deterrent that has proven effective in keeping these toads away from your property. I will be covering more about invasive species in the near future. For an up to date listing of invasive species click here. I have at least one of these toads in my south Tampa yard. What fee is associated with removal?